To celebrate Black History Month we brought a screening of TV One’s original movie, “Behind the Movement” to Oakland. 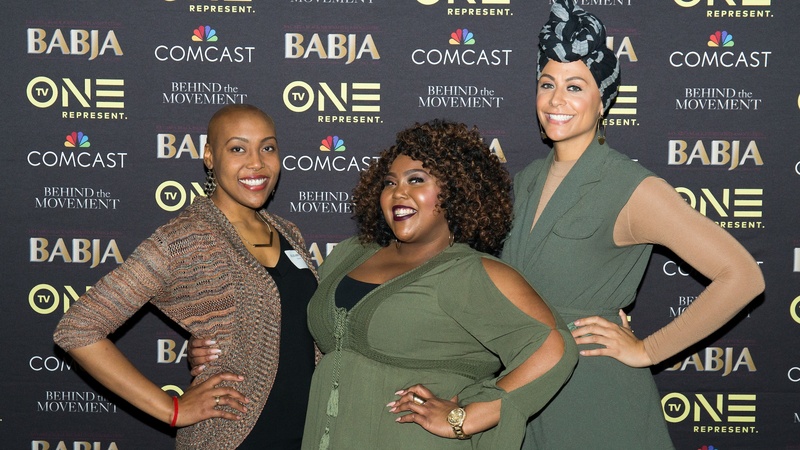 Partnering with TV One and the Bay Area Black Journalists Association (BABJA) we were able to celebrate Rosa Parks’ inspirational story with some incredible individuals and organizations. The screening was held last week at the eclectic New Parkway Theater in the heart of downtown Oakland. Before the screening, close to one hundred Bay Area influencers and leaders from Comcast’s Black Employee Network enjoyed some casual networking and delicious Hors d’oeuvre from Brown Sugar Kitchen, Chef Tanya Holland’s restaurant. TV Host and former Sacramento reporter Charity Bailey was our hostess for the evening; introducing the film before leading a fireside chat with Karen Peterkin, Director of Scripted Programing at TV One and one of the executives responsible for producing the movie. “I’ve received extremely positive feedback of the movie, specifically from younger generations who don’t know about Rosa Park’s story. What I like about this film is that it is told in a way that is easy to understand and watch by children and it has become a great tool for parents who want to teach history to their kids in a way that is appropriate for their age,” said Peterkin. ‘Behind the Movement’ is a unique and fast-paced retelling of how Rosa Parks’ refusal to give up her seat launched the history-making Montgomery Bus Boycott. The film, available on X1 on Demand, reveals the untold story of how a group of everyday people decided this was the moment to take a stand for their civil rights and demand equal treatment. ‘Behind the Movement,’ stars a number of friendly faces from across the film industry including: Meta Golding (“The Hunger Games”), Isaiah Washington (“The 100”), Loretta Devine (“Waiting to Exhale”), and Roger Guenveur Smith (“American Gangster”). Like so many other important issues, the conversation didn’t end that night. Viewers can join the conversation online by connecting via social media on Twitter, lnstagram and Facebook (@tvonetv) using the hashtag #BehindTheMovement.